How to help elephants through volunteering - and why you should! 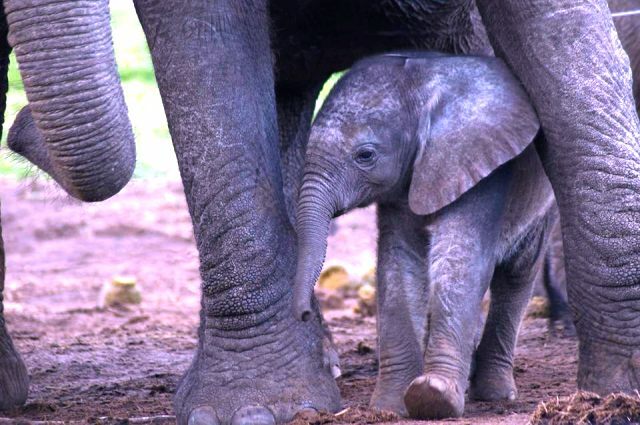 How to help elephants – and 13 reasons why you should! I am yet to meet someone who doesn’t love elephants. As the biggest land mammal in the world, they are certainly impressive in their size, but their gentle nature and their iconic presence in the countries they inhabit is what makes them so enchanting. Sadly however, the elephant population is in dramatic decline. It can only be estimated how many elephants are left, but most recent estimations are that there are 450 – 700,000 African elephants and 35 – 40,000 Asian elephants remaining. These numbers have fallen dramatically since the 20th century when it was believed that there were about 3 million African elephants and 100,000 Asian elephants. 1. The smaller of the two elephants species, the Asian elephant, can be found in stunning locations, such as India, Sri Lanka and across Southeast Asia, to name a few. Seeing animals in their natural habitat is always better than seeing them at a zoo and elephants can be found in some of the most beautiful countries in this continent. 2. The larger African elephants, weighing up to a phenomenal 14,000 lbs, can be found all over sub-Saharan Africa. They have larger ears than their smaller Asia counterparts. There are many artists and photographers who have been inspired by the sight of the mighty elephant striding across the African savannah. To say you have seen the largest land mammal is certainly a great achievement and they definitely do not disappoint! 3. How are African elephants endangered? 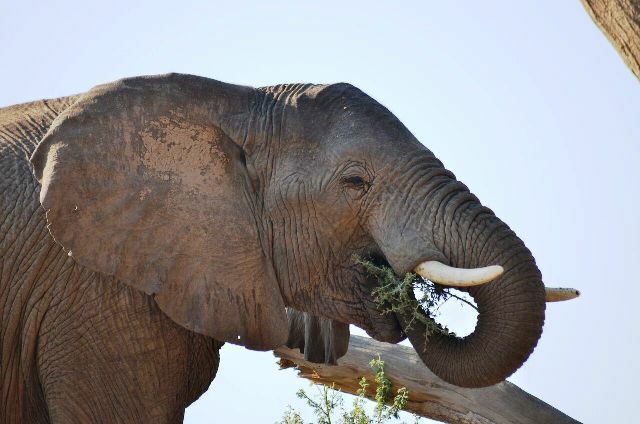 One of the most striking features of the elephants is their tusks. Unfortunately, not everyone is happy to admire the tusks from a distance. The illegal ivory trade kills tens of thousands of elephants each year. Poachers hack the tusks off and discard their dead bodies. But why? Ivory is sought after for its hard, smooth qualities and is used billiard balls, piano keys and decorative carvings. How to help African elephants be safe from this cruel fate? 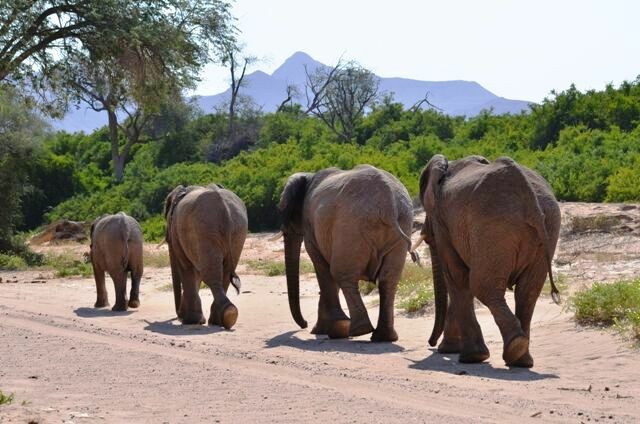 Volunteering with elephants helps to promote conservation that aim to put a stop to ivory poaching. 4. With a growing population and an increased demand for food, wild habitats, such as forests, are being destroyed to make room for agricultural land. With so many elephants living in the forest, this decrease in land is having a negative impact. In Africa, elephants had 3 million square miles of land to roam in. By 2007, they had only a third of this land. Excessive logging, mining and armed conflicts continue to reduce the size of protected land for elephants to live in. By volunteering with elephants, you can help to research this issue and promote a better future for elephants. 5. Elephants are often used to entertain paying crowds. These elephants are often subjected to cruel training. Many are taken from a young age, separated from their mother, confined in small spaces, starved and beaten until they are ‘trained’. Tourists are very willing to pay good money to ride elephants or to watch them do tricks, often without knowing the cruelty that the elephants have been subjected to. Happily, some excellent sanctuaries and rescue centres do exist, often to rescue these working elephants from this cruel fate. 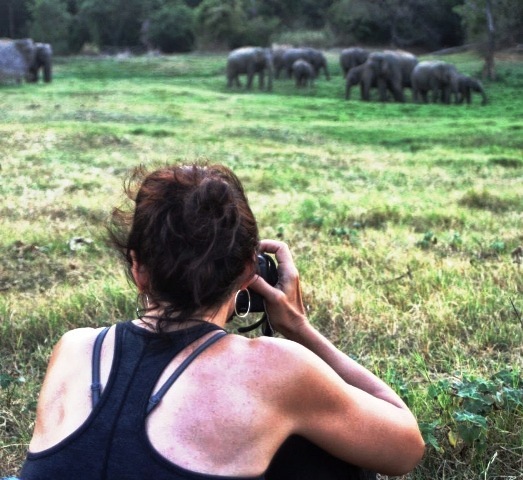 These sanctuaries will only encourage ethical tourism to fund the care of the elephants, or will entirely rely on the income and help from volunteers. Remember, the important thing is to volunteer with a sanctuary that is ethical and does not force elephants to do tasks that are ‘unnatural’. 6. When elephants’ habitats are next to human settlements, conflict is inevitable. Elephants destroy farms in search for food, which in turn leads to humans reacting negatively towards the elephants. Both humans and elephants are killed each year due to this on going battle. Our volunteering programme in Namibia focuses on this issue and helps farmers to build walls to protect crops, but in turn helps to ensure water is pumped out to the elephants. It helps to find compromises and solutions to ensure both animals and humans are happy. This problem also exists in Sri Lanka, where humans and elephants are competing against each other for wild space. What is being done to save Asian elephants in Sri Lanka? Volunteers help the communities to live alongside the elephants and to love their national symbol once more. 7. When working with elephants that have been rescued from captivity, a volunteer can help to enrich their lives and to make their time spent at the sanctuary or reserve better. Volunteers often help to design enrichment programmes that help elephants to build the necessary skills to live in the wild. Feeding elephants the huge quantities they need each day and ensuring that they are well are all valuable tasks that volunteers can get involved in to give elephants a better quality of life. 8. Sounds like a cliché, but education is crucial and it starts with educating ourselves. Working alongside animal conservation experts can be truly eye-opening. Often people do not realise the impact that their own actions may have on wildlife. For example, by wasting food at home, you are increasing the demand for food, which in turn means farmers need more land. Every action has a consequence and seeing it first hand can help you to readdress your values. 9. Once educated, the next step is to raise awareness. By volunteering abroad, you can learn how to share the message with others. Many who return from volunteering with elephants develop a passion for helping these wonderful creatures and it is this passion that helps to create change. 10. You may have heard the expression – “an elephant never forgets’ – and this is definitely true. The beauty of working with an elephant is that the bond is real and you will not be forgotten once you leave. You can honestly say that you have made friends with an elephant! 11. Elephants have unique personalities. Like humans, some like to interact with each other and people and some don’t. Some are mischievous, some are protective and some prefer to eat all day. As a volunteer, you will begin to recognise these traits and this will help you to really get to know the animals you are working alongside. 12. Known for their gentle nature, elephants are animals that work well with humans. They are playful and friendly which means that volunteers can get up close to the elephants. This gives volunteers a great opportunity to bond with the elephant and to feel really involved in their care. 13. As a volunteer, you will develop your own skills. A good volunteer is someone who is willing to get stuck in and who truly cares about the impact that humans have on the elephants. By volunteering, you can help to keep elephants in the wild. If like us, you are a big fan of these endearing animals, then we have lots of volunteering opportunities to get involved in. If you want to know how to help elephants, look no further than our amazing projects. 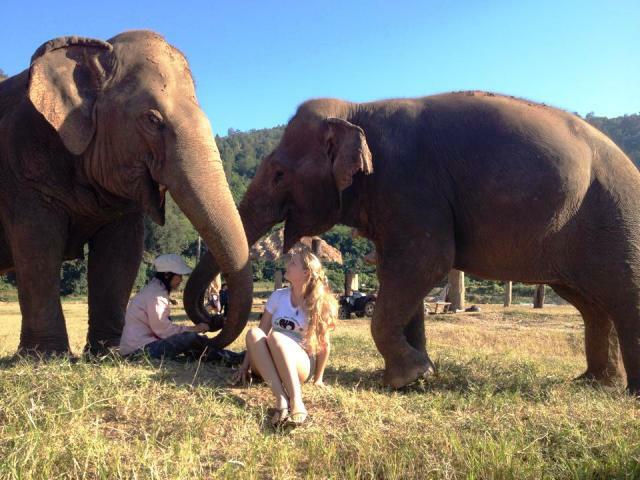 You can work with elephants in Sri Lanka, Thailand, Namibia, Laos and South Africa. Anne, our animal welfare expert, has visited each of the programmes and is happy to chat. Feel free to call her on (+44) (0) 1892 771 974 or send her an email at [email protected] We love to hear from people who are as passionate about animals as we are! Next Post Why volunteer in Tanzania? Previous Post What we got out of our own gap years?